I was forwarded this Infographic and it speaks for itself. 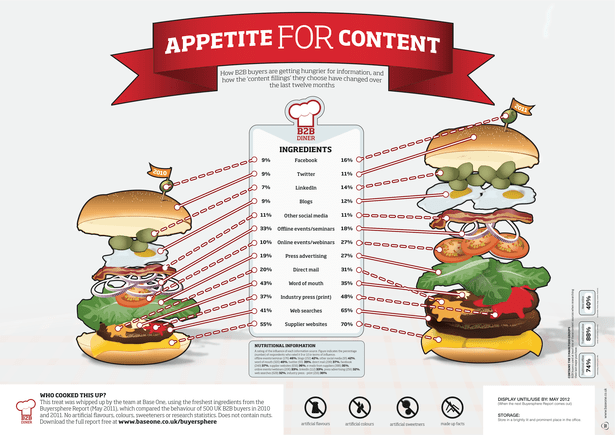 Based on UK research prepared by Base One in the Buyersphere Report from May 2011, it describes how B2B buyers are getting hungrier for information, and how the content “fillings” are changing. If you click through to the link (click on the graphic) and then double click on the image, you can read the content in this inforgraphic more effectively. It is hard to read as it is, but a lovely representation of the information don’t you think?